Our home, the Skydome Arena (built in 1999) is a 3,000 capacity (2,200 seats) multi-purpose arena in the city centre of Coventry. The ice rink is part of a multi-plex of entertainment venues such as Crosby’s bar, The Spon Gate Wetherspoons, Harvester bar and restaurant, Odeon cinema, our title sponsor Genting Casino and PureGym. In addition to Coventry Blaze matches and training, the ice rink is used for public ice skating sessions and lessons. The Blaze junior academy also make use of the facility, as do other ice hockey teams playing at various levels. The town centre featuring a wide range of high street shops, stores and restaurants is within a couple of minutes’ walk from the arena. 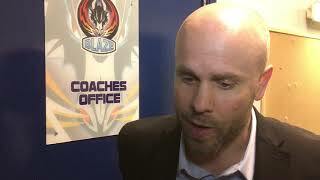 Find out about the Genting Casino Coventry Blaze of the British Elite League. 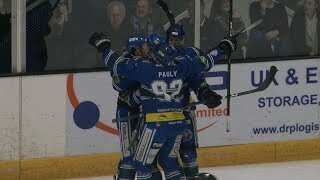 The Coventry Blaze participate in the British Elite League.